From I-5 (North or South), Take the Pacific Avenue Exit 107. Turn Left onto Pacific Avenue from I-5 North (Right onto Pacific Avenue from I-5 South) and continue to Fir Street. 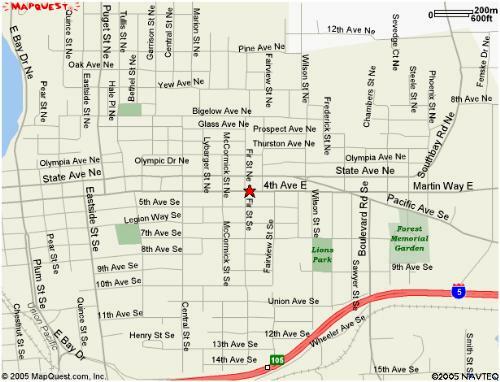 Turn left onto Fir Street, continue one block to 4th Ave, Turn left onto 4th Ave; Lodge is located on the left, one block ahead.